WOW!!!! The drink is the most adorable.. that I have seen... The way u have presented it, is stunningly impressive..... At least I am to the core.... DROOLING!!!! All time fav shake.. Looks so creamy and rich.. Pass it over for my breakfast tomorrow! Banana milk shake looks really yummy. perfect filling n refreshing drink for summer! Nice one and lovely presentation.. Awesome Milkshake. Just what one needs after a brisk workout! 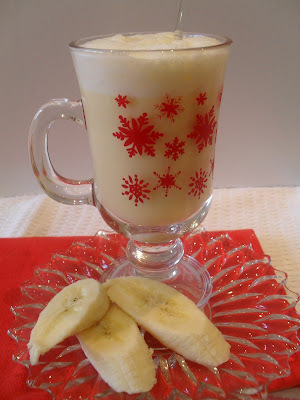 we love bananna shakes this looks super frosty for our hot weather..
Banana Milkshake loooks great dear,,very easy n quick refreshing drink.. I LOVE milkshakes! As soon as I get my hands on some vanilla ice cream I'm gonna make this. love the flavour of banana in a milkshake. yours with vanilla ice ream too woul've been fantastic! healthy and refreshing milk shake. Yum! I'm the only one in our household that likes banana milkshake. What a shame I have to have it all by myself!